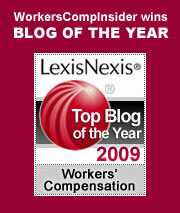 In the mid-1980s and early 1990s, our nation was in the midst of an awful workers’ compensation crisis. In my home state of Massachusetts, the cost of workers’ comp was approaching $2 billion dollars annually. Employers were looking for straws to grasp. Associated Industries of Massachusetts, the leading employer organization in the state, held quarterly seminars in large hotel ballrooms and filled them every time with CEOs, CFOs and HR VPs, all wanting to know what they could do to stem the tide. Often, I was a keynote speaker. Why? Because my company, Lynch Ryan, had figured out that even though, as Peter Rousmaniere, my CFO at the time, put it, the crisis was “a horrendoma of the first order,” employers who were committed and driven to reduce their costs could do so if they instituted real, systemic programs with roles, responsibilities and accountability throughout the organization. These employers learned that time was their enemy and that when safety failed and injury resulted, they needed an urgent sense of immediacy to take hold of the injured person and keep him or her as close as possible to the bosom of the workplace. They didn’t just report the injury to their carriers and return to business as usual. Relative to their peers — their competition — these employers shone like bright stars in the clear night sky. In 1992, Massachusetts enacted far-reaching legislation to significantly improve what had become a woebegotten state system. This reform legislation produced results that still echo today as Massachusetts continues to have among the very lowest costs in the nation, but among the highest benefits. The big national bugaboo, medical costs, are about 40% of the total spend, as opposed to around 60% nationally. The $2 billion has shrunk to around $600 million. Yet, even now, employers who treat workers compensation as they would treat any other important business function (time to repeat – with written documentation, roles, responsibilities and accountability established throughout) still outperform their competitors. I’ve worked with many of them who managed workers’ comp well and were proud of the results they’d achieved. And that, to me, remains the secret sauce. Yes, the Great Recession has caused terrible damage to the nation and, by extension, to the workers compensation system. Yes, the combined ratio is unsustainable (and may be understated). Yes, we’re in the middle of an epidemic of opioid abuse, enabled, for the most part, by doctors who long ago forgot their Hippocratic Oath and who now bow to Gordon Gecko. And, yes, workers’ comp, especially with respect to medical claims management, has gotten much more complicated over the years (and the Medicare Secondary Payer Statute hasn’t helped). But in the midst of all this, you will still find employers who are so serious about safety and injury management, that their workers’ compensation costs, relative to their peers, give them a significant competitive advantage. All things being equal, their boats are in a safe harbor, waiting to sail when the storm lifts. In many cases, these employers who “got religion” long ago are large organizations, at least upper middle market. They have the resources to institute systemic programs. But what about the other 80% of American businesses? These companies need help. How do we bring them the education they sorely need to weather the market vagaries? I think that’s the bull’s eye challenge.